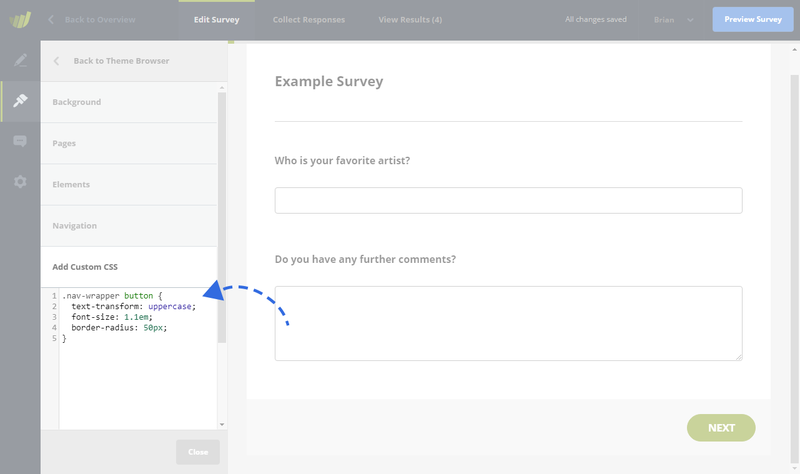 We have just launched the ability for you to organize your surveys into categories using labels. 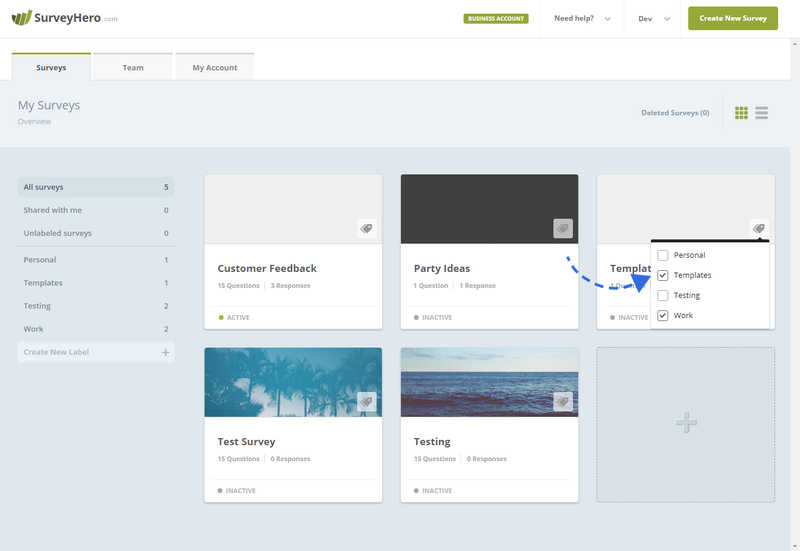 Like “folders”, this lets you group your surveys into different categories, allowing you to tidy up your workspace, in case that you have many different surveys. Unlike working with folders, you can assign multiple labels to one single survey. For example, you may want to label your “template” surveys with the “Template” label but also with the “Work” label. This makes it even easier to find the survey you are looking for. You can create as many labels as you need. We think this is a really flexible way for you to organize your surveys and hope you find it as useful as we do!